Dated January 29, 2010, the Foreign Trade Bank of the DPRK (North Korea) issued document No. 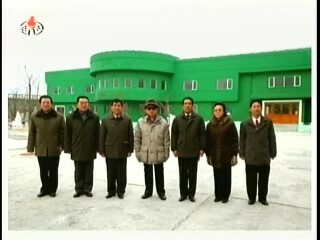 DC033 10-004 to diplomatic missions and international organizations present in North Korea. They were informed that the use of foreign currency was to be stopped, payments were to be made in the form of non-cash cheques, and that the official exchange rate of the Euro to the North Korean Won was changed from 188.2 KPW to 140 KPW, effective January 2, 2010. Foreign institutions and organizations now have to obtain non-cash cheques from the Foreign Trade Bank, denominated in KPW, in order to pay for accommodations, meals and service fees in hotels, fares for transport services like railways and airlines, communication charges, inspection fees, registration fees and commissions paid to institutions and enterprises in the DPRK, fuel, office materials, spare parts for vehicles, electricity, water, heating charges and rent. Bank transfers are now mandatory for any transfers between international organizations and all money paid to institutions and organizations of the DPRK (including the salary of DPRK citizens working in embassies or international organizations). A recent visitor to Pyongyang confirmed in a talk with the author that individuals are subject to a cumbersome process if they wish to purchase anything. Rather than using a standard hard currency or exchanging it into the new Won, they now have to obtain a receipt stating the price of the good they want to buy, then present this at a desk where they exchange their money into exactly the needed amount of North Korean money, and finally return to the shop assistant, hand over the exact amount, and receive the product. In the preceding weeks, North Korea had made international headlines related to what seems to be a concerted economic policy initiative. The domestic currency was reformed in a way that obviously aimed at reducing the amount of money in circulation. A few weeks later news emerged that the use of foreign currencies was banned. This is no doubt a dramatic move with far-reaching consequences. Money matters for personal lives and for society, so when a country initiates a currency reform, it has significant repercussions. (AFP) Kim Jong-Il’s only sister appears to be wielding more power in North Korea after making a comeback to the frontline of the regime last year, says South Korea. 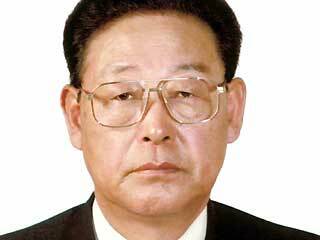 Kim Kyong-Hui, 64, was newly added to a diagram of the North’s power structure released by the South’s unification ministry after returning to the public spotlight for the first time in nearly six years. The annually updated diagram, which offers a glimpse into changes in the North’s elite power system, showed her heading an organ which oversees light industries under the ruling Workers’ Party of Korea. “Since her comeback, the sister has frequently accompanied Kim Jong-Il in his field inspections,” ministry spokeswoman Lee Jong-Joo told AFP. Intelligence officials say Kim Jong-Il, who turned 68 on Tuesday, has increasingly relied on his family to exercise his power after reportedly suffering a stroke in 2008, the Yonhap news agency reported. The sister’s comeback also reflects Pyongyang’s resolve to revive its economy and pave the way for a family power succession, it added. Her husband Jang Song-Thaek has strengthened his image as the leader’s right-hand man amid speculation he will play the role of regent as the leader grooms his youngest son Jong-Un to take over. …Kim Kyong-hui sporadically joined her brother’s visits in 2009 (You can read a general post about Ms. Kim and her appearance in 2009 here). She more or less became a fixture in General-Secretary Kim’s travel party by the late fall of 2009. 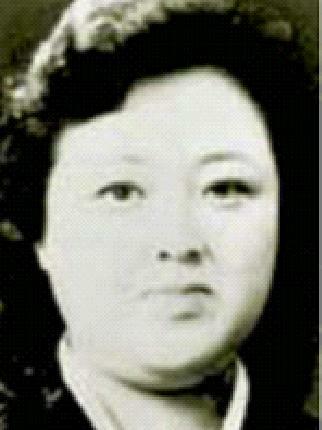 In November, a report appeared in JoongAng Daily that Kim Kyong-hui had taken over management of the Personal Secretariat, including coordinating her brother’s schedule and security arrangements from (ex-) cohort Kim Ok.** Unlike Kim Ok who was cloistered in General-Secretary Kim’s personal life and administrative apparatus, Kim Kyong-hui (despite having kept a low profile for many years) can work in the Personal Secretariat while maintaining a public profile. She is, after all, the only daughter of the late DPRK President Kim Il-sung and Revolutionary Mother Kim Jong-suk, in addition to being a long-time SPA Deputy (delegate) and Central Committee member. Feb. 10 (Bloomberg) — North Korean Premier Kim Yong Il has apologized for inflation caused by last year’s currency revaluation and vowed to better feed the country’s 24 million population, a Seoul-based rights group said. Kim acknowledged the state prices for goods were wrongly set after the currency revaluation in December, causing “confusion and unrest,” Good Friends said yesterday on its Web site. Kim’s comments were made at a recent meeting with key officials in Pyongyang, said the group, which says it obtains information by contacting people in North Korea. (Chosun Ilbo, 11 Feb. 2010) A North Korean source has shed more light on an apology by Premier Kim Yong-il on Feb. 5 which apparently acknowledged that the currency reform in late December went disastrously wrong. The source said Kim (not to be confused with leader Kim Jong-il) read out an hour-long statement before village chiefs and other party officials at the People’s Palace of Culture in Pyongyang on Monday morning. “I sincerely apologize for having caused great pain to the people by recklessly enforcing the latest currency reform without making sufficient preparations or considering the circumstances,” the source quoted him as saying. Kim also pledged to rectify the mistakes, saying he would do “my best” to stabilize people’s financial circumstances. The revaluation of the won, instead of curbing inflation, led to skyrocketing prices of daily necessities. He indicated that the regime will allow people to use foreign currency, which has been banned since the reform, and permit open-air markets to return to normal after a crackdown that seemed aimed at strangling a nascent market economy. But Kim at the same time stressed the need to stick to state-set prices, adding that the government will strictly crack down on the hoarding of goods. Shenyang, China — The North Korean authorities finally released fixed prices for 100 items across the country at 3 P.M. on Thursday. 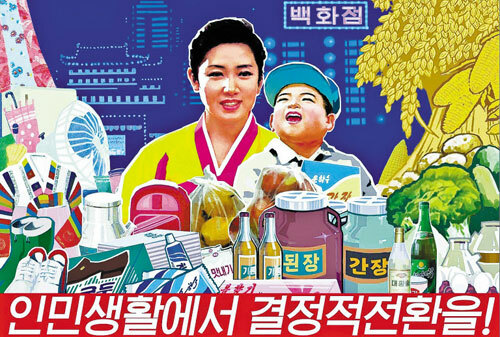 A Daily NK source inside North Korea revealed the news today in a telephone conversation, saying, “The authorities announced state-designated prices for 100 items in a notice posted at the entrance to markets on Thursday afternoon. Alongside the message came a warning, “If traders fail to sell goods at the stated prices, goods will be confiscated.” The price list includes those for rice and corn. By implication, the selling of food has now been officially sanctioned in the market. If the listed prices are enforced, however, confusion and anger are absolutely inevitable, because the gap between the newly-posted prices and real jangmadang prices is enormous. For example, the latest real rice price in the jangmadang is 350 won per kilo, while corn is selling for 180 won; however the state-designated prices are 240 won and 130 won respectively. The jangmadang price of pork is around 300 won more expensive than its state-designated price. The director of DPRK Institute of Social Sciences has publically stated that the shocking currency reforms announced last November were aimed at filling the state’s public finance coffers. Many experts in South Korea and abroad had speculated that the North’s objective in revamping its currency was to boost public coffers, but this was the first time that anyone from North Korea had publicly alluded to such goal. Director Kim stated that last year was a year ‘carved into history’ as the year in which the nation was turned around toward the realization of the goals set for 2012, noting that new seeds had been developed to boost crop yields, and that double- and triple-cropping as well as improved potato and bean crops had been accomplished. Director Kim also stated that a decisive turn-around had been made in resolving food shortage problems, noting the successful development of Lyosell as one example of improved production in North Korea. Lyosell is a silk-like material made from wood pulp transformed into cellulose, and is softer and more hygroscopic than cotton, yet almost as strong as polyester. A senior North Korean finance official has been sacked, after overseeing the country’s disastrous currency revaluation. Under a decree issued last November, old banknotes were swapped for new ones, at a rate of 100 to one. But the amount which could be exchanged was restricted, effectively wiping out many people’s savings and causing widespread anger. South Korea’s intelligence agency says the senior official in charge, Pak Nam-Ki, has been absent from public activities since early January. It’s been reported the official will be put on trial amid a wave of recriminations over the policy. BAINBRIDGE: It was part of Pak Nam-Ki’s job to keep the planned currency revaluation completely secret. But just before the decree was made official some well connected North Koreans engaged in a frenzy of currency exchange designed to pre-empt the loss in value of their savings. Bronwen Dalton, of the University of Technology Sydney, says that may be why the man responsible for implementing the policy has now fallen out of favour. Alternatively, she says, it may be designed to calm public fury over the policy. DALTON: There’s been a great deal of social unrest following the currency revaluation and also the ban on the use of foreign currency and the redenomination-revaluation effectively wiped out many people’s savings. BAINBRIDGE: The development has South Korea worried over the prospect of more unrest and division in the unstable north. 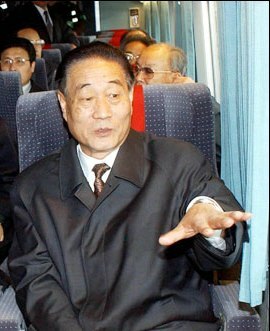 Chun Hae-sung is a spokesman for the South Korean Unification Ministry. CHUN: The South Korean government has a very deep interest in North Korea’s situation after the currency reform, and we are currently examining the situation thoroughly. However, we believe it is a little early to make an exact judgment about the result. BAINBRIDGE: But it’s clear the policy has sparked rampant inflation and food shortages. Seoul-based human rights organisation Good Friends says prices of many staple foods like rice and corn are doubling on a weekly basis. Erica Kang the director of the International Network for Good Friends. KANG: Because of very, very high inflation on goods and especially on food people are unable to access any food, and particularly there aren’t any markets, the real market activity going on, even if there is food it’s very, very hard to access it because it’s very dear indeed. BAINBRIDGE: Bronwen Dalton says while the state once provided an alternative to markets it can no longer afford to supply its people with basic foods leaving ordinary North Koreans with few options. DALTON: The latest reports are that 80 per cent of household income and at least half the calories of North Koreans now come from the market system and by banning the market system and wiping out savings you’ve effectively removed access to food for millions and millions of people. BAINBRIDGE: Despite the dire situation the United Nation’s World Food Programme is struggling to raise relief funds for the North. Major donors — including South Korea and the United States — refused to help in protest at its second nuclear test in May last year. By the end of 2009 the WFP had only reached 18 percent of its target of 492 million dollars in relief funds for the communist North. 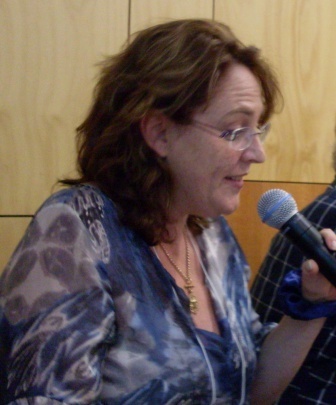 Nonetheless Bronwen Dalton says the regime is determined to crack down on the presence of private markets. DALTON: While we’ve seen countries like Vietnam and China experiment with a market economy, North Korea, I think correctly, sees the spread market relations as a real challenge to the capacity of the regime to continue. It’s simply too rigid a system to allow any independent economic activity. Even the slightest of independent decision making which involves movement of people and goods challenges the incredibly tight grip the regime to date has had on daily life. BAINBRIDGE: Dr Dalton says food market have been forced to go underground and can only continue to operate by bribing officials to turn a blind eye. As for the hapless Mr Pak – she says he could well be heading for a public humiliation to pay for regime’s failed policy. DALTON: The strategy might be to unite the public dissatisfaction with the move by uniting against this one figurehead and hopefully unloading the discontent upon that person – many hours of televised trials and humiliations. 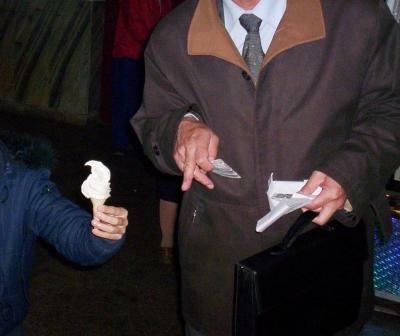 Visiting North Korea some years ago, I was lucky to have a fairly genial “minder” whom I’ll call Mr. Chae. He guided me patiently around the ruined and starving country, explaining things away by means of a sort of denial mechanism and never seeming to lose interest in the gargantuan monuments to the world’s most hysterical and operatic leader-cult. One evening, as we tried to dine on some gristly bits of duck, he mentioned yet another reason why the day should not long be postponed when the whole peninsula was united under the beaming rule of the Dear Leader. The people of South Korea, he pointed out, were becoming mongrelized. They wedded foreigners—even black American soldiers, or so he’d heard to his evident disgust—and were losing their purity and distinction. Not for Mr. Chae the charm of the ethnic mosaic, but rather a rigid and unpolluted uniformity. I was struck at the time by how matter-of-factly he said this, as if he took it for granted that I would find it uncontroversial. And I did briefly wonder whether this form of totalitarianism, too (because nothing is more “total” than racist nationalism), was part of the pitch made to its subjects by the North Korean state. But I was preoccupied, as are most of the country’s few visitors, by the more imposing and exotic forms of totalitarianism on offer: by the giant mausoleums and parades that seemed to fuse classical Stalinism with a contorted form of the deferential, patriarchal Confucian ethos. Karl Marx in his Eighteenth Brumaire wrote that those trying to master a new language always begin by translating it back into the tongue th ey already know. And I was limiting myself (and ill-serving my readers) in using the pre-existing imagery of Stalinism and Eastern deference. I have recently donned the bifocals provided by B.R. Myers in his electrifying new book The Cleanest Race: How North Koreans See Themselves and Why It Matters, and I understand now that I got the picture either upside down or inside out. The whole idea of communism is dead in North Korea, and its most recent “Constitution,” “ratified” last April, has dropped all mention of the word. The analogies to Confucianism are glib, and such parallels with it as can be drawn are intended by the regime only for the consumption of outsiders. 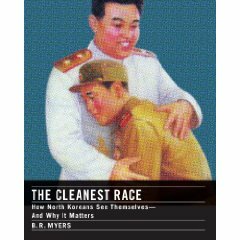 Myers makes a persuasive case that we should instead regard the Kim Jong-il system as a phenomenon of the very extreme and pathological right. It is based on totalitarian “military first” mobilization, is maintained by slave labor, and instills an ideology of the most unapologetic racism and xenophobia. These conclusions of his, in a finely argued and brilliantly written book, carry the worrisome implication that the propaganda of the regime may actually mean exactly what it says, which in turn would mean that peace and disarmament negotiations with it are a waste of time—and perhaps a dangerous waste at that. Consider: Even in the days of communism, there were reports from Eastern Bloc and Cuban diplomats about the paranoid character of the system (which had no concept of deterrence and told its own people that it had signed the Non-Proliferation Treaty in bad faith) and also about its intense hatred of foreigners. A black Cuban diplomat was almost lynched when he tried to show his family the sights of Pyongyang. North Korean women who return pregnant from China—the regime’s main ally and protector—are forced to submit to abortions. Wall post ers and banners depicting all Japanese as barbarians are only equaled by the ways in which Americans are caricatured as hook-nosed monsters. (The illustrations in this book are an education in themselves.) The United States and its partners make up in aid for the huge shortfall in North Korea’s food production, but there is not a hint of acknowledgement of this by the authorities, who tell their captive subjects that the bags of grain stenciled with the Stars and Stripes are tribute paid by a frightened America to the Dear Leader. Myers also points out that many of the slogans employed and displayed by the North Korean state are borrowed directly—this really does count as some kind of irony—from the kamikaze ideology of Japanese imperialism. Every child is told every day of the wonderful possibility of death by immolation in the service of the motherland and taught not to fear the idea of war, not even a nuclear one. The regime cannot rule by terror alone, and now all it has left is its race-based military ideology. Small wonder that each “negotiation” with it is more humiliating than the previous one. As Myers points out, we cannot expect it to bargain away its very raison d’etre. All of us who scrutinize North Korean affairs are preoccupied with one question. Do these slaves really love their chains? The conundrum has several obscene corollaries. The people of that tiny and nightmarish state are not, of course, allowed to make comparisons with the lives of others, and if they complain or offend, they are shunted off to camps that—to judge by the standard of care and nutrition in the “wider” society—must be a living hell excusable only by the brevity of its duration. But race arrogance and nationalist hysteria are powerful cements for the most odious systems, as Europeans and Americans have good reason to remember. Even in South Korea there are those who feel the Kim Jong-il regime, under which they themselves could not live for a single day, to be somehow more “auth entically” Korean. Here are the two most shattering facts about North Korea. First, when viewed by satellite photography at night, it is an area of unrelieved darkness. Barely a scintilla of light is visible even in the capital city. (See this famous photograph.) Second, a North Korean is on average six inches shorter than a South Korean. You may care to imagine how much surplus value has been wrung out of such a slave, and for how long, in order to feed and sustain the militarized crime family that completely owns both the country and its people. But this is what proves Myers right. Unlike previous racist dictatorships, the North Korean one has actually succeeded in producing a sort of new species. Starving and stunted dwarves, living in the dark, kept in perpetual ignorance and fear, brainwashed into the hatred of others, regimented and coerced and inculcated with a death cult: This horror show is in our future, and is so ghastly that our own darling leaders dare not face it and can only peep through their fingers at what is coming. Christopher Hitchens is a columnist for Vanity Fair and the Roger S. Mertz media fellow at the Hoover Institution.